The best discounts and offers are always the ones that live against popular hardware and accessories which a large percentage of people could benefit from. 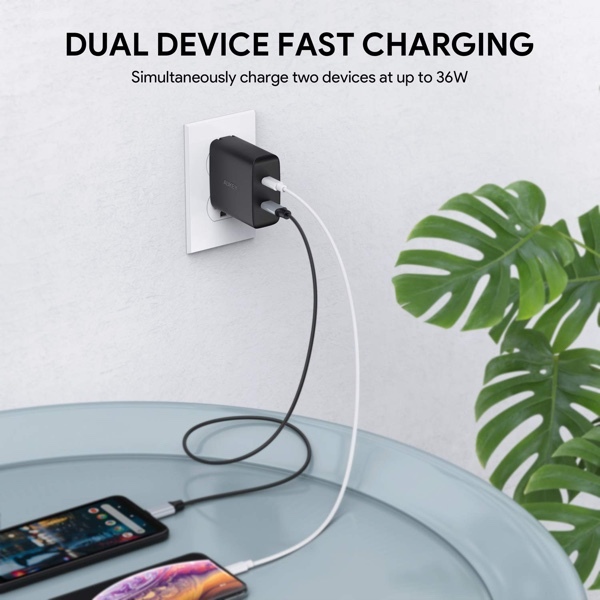 The 15% discount available against this AUKEY USB-C 18W wall charger definitely makes this one of those deals! We know what you might be thinking. A good discount is a good discount but this wall charger isn’t exactly “epic” technology, is it? And maybe you’re right in that assumption but sometimes the best technology lives in the hardware that we use multiple times each day and that we really couldn’t live without. It’s fair to assume that all of us have mobiles, tablets, portable gaming systems, or laptops, which means that it is reasonable to assume that we all need to charge that hardware on a daily basis. It’s that requirement which makes this hardware valuable. This accessory is capable of delivering high-speed charging on iPhone XS, iPhone XS Max, iPhone XR, and any other compatible smartphone. It also comes with USB Power Delivery 3.0 for next-generation, future-proof fast charging at 18W of power per each port for up to a total of 36W of power. It’s highly compact, lightweight and entirely portable, making it the perfect travel companion and perfect for putting it into your travel bag and taking it with you wherever you go. It also offers built-in safeguards to protect connected devices against excessive current, overheating, and, of course, overcharging, which you would expect as a minimum with this type of product. All-in-all, this is the type of product that most of us would benefit from and which delivers exactly what you would expect for what is a relatively tiny amount of money. The perfect combination of functionality and affordability. Remember, if you are interested in making some savings and introducing this hardware into your life then the savings are achieved by making use of the on-page coupon. Selecting this before proceeding to the checkout will give you an immediate 15% discount reflected in the final sales price. We can’t guarantee that the coupon is going to stay active indefinitely so it’s worth actioning this deal, right now!